OhMyVera! A blog about all things Vera Bradley: I lost my Vera Bradley sunglasses! 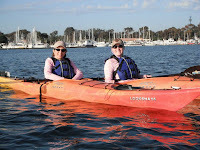 Yesterday my Mom and I went to kayaking on Mission Bay. 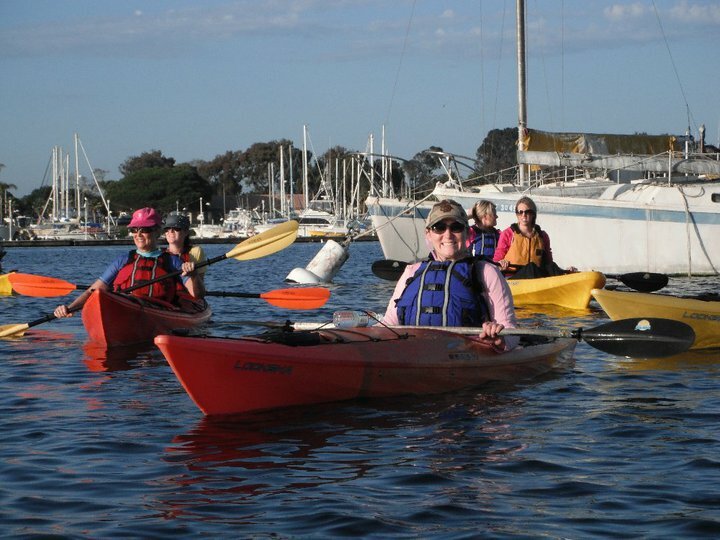 Our friend Yvonne set up a fundraiser for the Breast Cancer 3 Day walk and Aqua Adventures donated the all the money from kayaking to her team! It was a really fun fundraiser and they made $900! 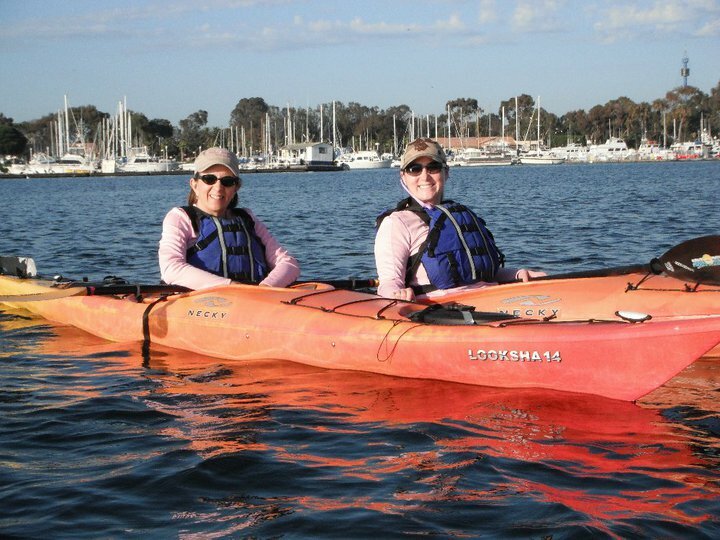 I had never been kayaking before and was afraid I was going to fall in the water because I had heard from a couple of my coworkers that the boats can be unstable. Well that should have been the least of my worries, I should have been worried about my sunglasses! Yvonne sent out an email ahead of time to let us know what we should bring and one of the suggestions was a strap for our glasses. 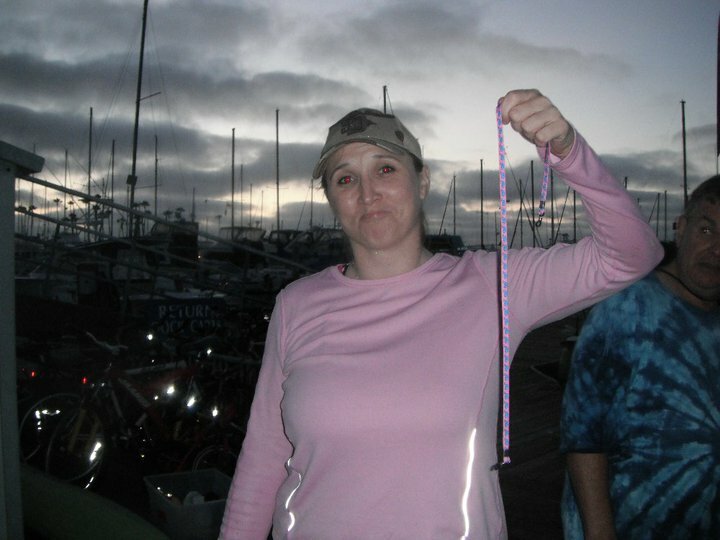 I have a cute strap that I use out at the river...it is pink and has blue whales on it, so I threw it in my bag. Our kayak adventure started around 6pm, so the sun was setting and right in our eyes for part of the time, so I took my sunglasses with the strap attached and a hat so that it wouldn't be so bright. Once it got closer to 8pm it was getting a little darker and I didn't need my sunglasses, so I took them off and just let them hang from the strap around my neck. Well here comes the hardest part of the trip...getting out of the kayak! 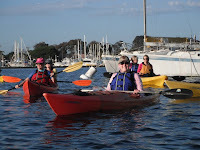 You have to pull up along the side of the dock and then kind of roll out of the kayak. Well I was so worried about falling in that I completely forgot my sunglasses were hanging in front of me. I successfully made it onto the dock without falling in the water! I pulled my kayak out of the water and went to hang out my life vest and that is when I noticed my Vera Bradley sunglasses where missing! 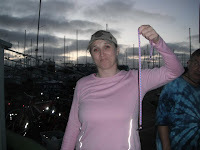 I started searching the dock and I found my pink and blue sun glass strap so I had hope that maybe they fell off on the dock, but no such luck! We looked everywhere, even in my kayak. They must have fallen in the water but I didn't notice because my kayak was splashing around while I was trying to get out of it. I lost my Purple Punch Frannie Sunglasses. They had metal frames on the front and they had black arms that had the diamond design on them, like the quilting on the b ags. The inside of the arms had Purple Punch. Those where my only item in Purple Punch. Even though I lost my sunglasses I still had an amazing time! It was a great way to see the bay and spend time with my mom. 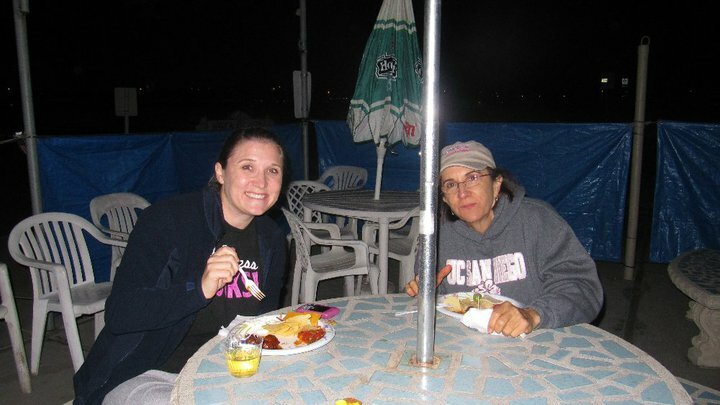 Plus there was food waiting for us when we got back to the dock! We had a really fun time. 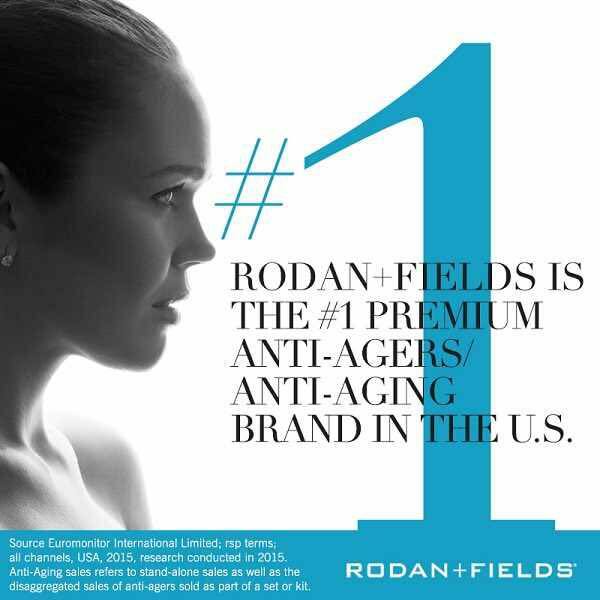 Thanks Yvonne, you put the fun in fundraiser! Your post brought tears to my eyes! I JUST left my fav boutique that sells Vera Bradley with a new Weekender (they gave me tomorrow's sale price today!) in VBP, a small cosmetic in Slate Blooms and a Loves Me Umbrella. This morning I received my small duffel in Pinwheel Pink! If I had lost my sunglasses, I would be devastated and not able to post for the tears that would have been pouring down my face. sincerely hope that something good comes your way in terms of a replacement. Soory that happened especially since you were out there for charity!